Enhance your Bachelor of Education by becoming qualified to accommodate learners with special needs and learning disabilities. In as little as two years and from the comfort of your home, you can complete the Post-Degree Certificate in Education: Special Education by completing 30 credit units of specially designed online courses. Classes include comprehensive course materials, assignments, online discussions, group learning activities/projects and a final take home exam. The online course guides will provide you with selected online resources to make your learning experience interesting and challenging. To complete this program, you will take eight required courses and two elective courses. Plus two elective courses chosen by the student in consultation and with permission of the Program Director. This post-degree certificate program is tailored to meet the learning and academic needs of practicing teachers and those in related professions who are employed in, or wish to be employed in, the field of special education. The College of Education offers a number of longstanding and new certificate programs to assist current educators to deepen their knowledge in a chosen area. Our certificate programs are flexible, designed to support busy schedules and respond to community needs. If you already have your Bachelor of Education (or an equivalent degree) and are currently teaching in the K to 12 school system, this program will enhance your career. 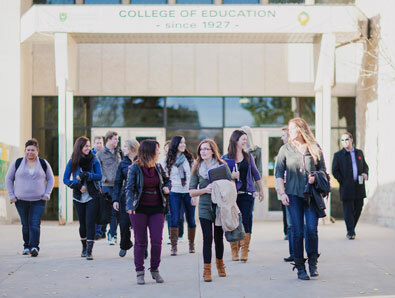 Approved by the Saskatchewan Professional Teachers Regulatory Board (SPTRB) as an Additional Qualification Certificate, the Post-Degree Certificate in Special Education will allow you to move up the Saskatchewan Teachers Federation salary grid. If you are currently teaching in another province, please consult with your provincial Ministry of Education to learn how the Special Education Certificate can benefit you and your students. The Certificate in Special Education is offered by the College of Education. For classes starting in September 2019, the deadline to apply is June 28th. For classes starting in January 2020, the deadline to apply is October 4th. For classes starting in May 2020, the deadline to apply is January 31st. $90 CDN non-refundable application fee (money order or cheque) made payable to the University of Saskatchewan. Official transcripts from any post-secondary institutions previously attended (not including the U of S). Transcripts must be sent directly from the institution(s) to the address above and received by the application deadline.